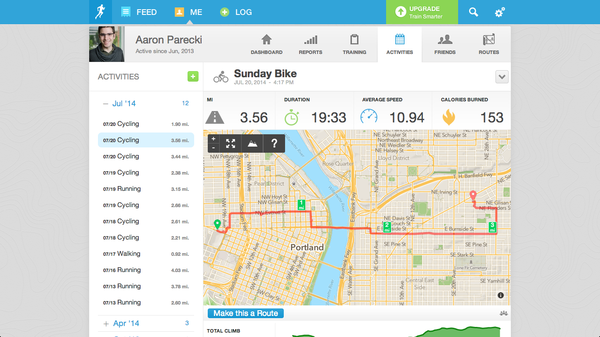 RunKeeper is an exercise silo and native app for keeping track of running, biking and other physical activity. If someone shares info on a particular run, in order to view the details, e.g. splits per mile, RunKeeper requires that you login. Resolution: As of 2017-04-12 (or perhaps earlier) runkeeper supports HTTPS and redirects from http: to https:. RunKeeper appears to only support http, even for logins. Using an https URL just redirects to the http version without an error. This implies that they have enough https support (e.g. a valid certificate) but are choosing not to use it to actually server web pages.